Hello everyone, welcome to our Magical Journey Walkthrough for Harry Potter: Hogwarts Mystery – Year Two. Here you can find the detailed walkthrough for the second year of your Hogwarts studies. This year has eleven chapters. Each of those will be covered in detail, so you’ll find all the information you need here. After a thrilling adventure revolving around the mysterious room in the upstairs corridor, you were left with a lot more unanswered questions than before. At least one thing is certain - the room was definitely connected to the Cursed Vault. Hopefully, the message you found there will prove helpful and help you find out what happened to Jacob. As for your second year, it'll bring you a new class - Transfiguration, where under the tutelage of Professor McGonagall, you'll be able to learn many useful spells that will definitely aid you on your quest to find the vaults. 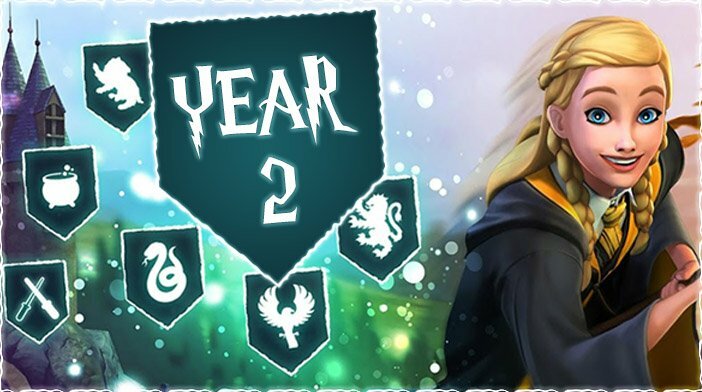 So, let’s continue the adventure and begin Chapter One of Year Two of our Magical Journey through Harry Potter: Hogwarts Mystery!